The main character Nin (忍) is composed of two greater characters. The upper character ha (刃) means "edge of the sword", and the lower character kokoro (心) means "heart" or "soul". 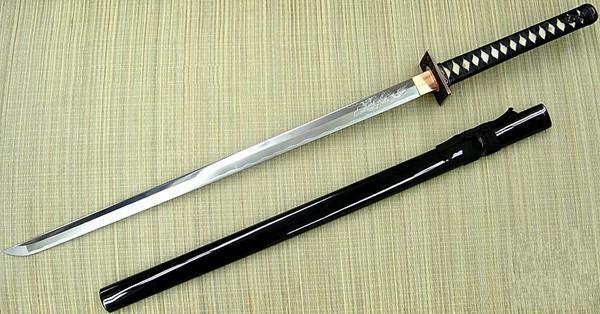 The character 刀 means "sword" or "blade," the character 刃 means "edge of the sword." Together they mean "stealth", "secretness", "endurance", "perseverance", and "patience". Ninjutsu -"School of Endurance Persevererance and Forebearance"
Practitioners credit the origins of the art to En No Gyoja, a warrior monk who set up a training camp in the Togakure mountain range. The sect existed in isolation for 500 years until 1165, when Daisuke Nishina, a clan member, ran away to the Iga province. There he came under the tutorage of Kain Boshi, a mystic warrior and monk, which greatly influenced his training, adding esoteric philosophies to his fighting and tactical guerrilla skills. In its original form, the art was geared to the needs of the assassin, with a large emphasis on concealment, infiltration, and spying. Opportunities for employment among the ninja peaked during medieval times, when warring factions became better organized and the need for unconventional battle tactics became vital to success. 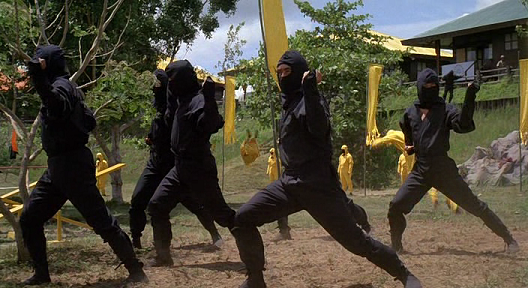 It is a widely held misconception that the ninja were sworn enemies of the samurai. In fact, many were also samurai who took on assassination jobs or gathered intelligence for opposing samurai clans as a way to raise their status and financial wealth. They actually share many of the same techniques for fighting. However, there were many battles between them, largely instigated by warlords who had gathered samurai militia and felt threatened by the ninja's expertise in destabilizing power bases. 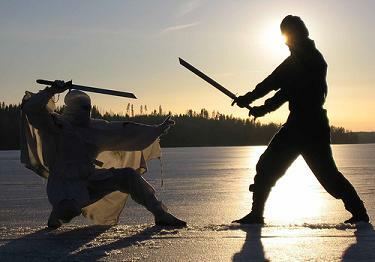 The ninja who would not serve the Samurai, fled to the barren, cold, mountainous regions of Iga and Koga. There they trained in the arts of war. It is said that their art is based upon a great Chinese military text written by a general named Sun Tzu, The Art of War. 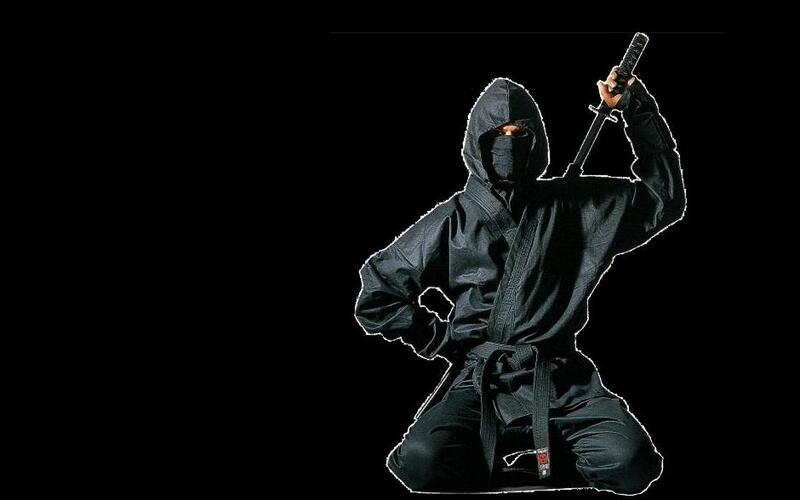 Ninjutsu was developed by groups of people mainly from the Iga Province and Kōga, Shiga of Japan.Throughout history the shinobi have been seen as assassins, scouts and spies. They are mainly noted for their use of stealth and deception. They have been associated in the public imagination with activities that are considered criminal by modern standards. Throughout history many different schools (ryū) have taught their unique versions of ninjutsu. An example of these is the Togakure-ryū. This ryū was developed after a defeated samurai warrior called Daisuke Togakure escaped to the region of Iga. Later he came in contact with the warrior-monk Kain Doshi who taught him a new way of viewing life and the means of survival (ninjutsu). 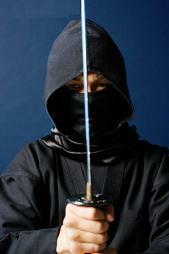 Ninjutsu began more than 800 years ago among the ninja people living in Japan. The warrior class which ruled Japan at the time were called The Samurai. They controlled the land and it's people. Their lord, the Shogun, was the only person the Samurai was answerable to. The ordinary peasant served the warriors every whim. A peasant could never strike a Samurai. If he did, it would mean his life. 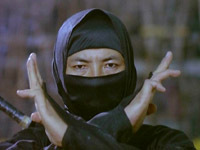 Over the centuries the ninja (word meaning 'stealers-in') trained from the cradle to the grave in every known martial art. Their forte was espionage and assassination, by any means possible. But their training also taught them to reach spiritual heights, by pushing their bodies and minds to limits far beyond that of normal human endurance. Training for a ninja began almost as soon as he could walk. Childhood games were designed to inculcate expertise in unarmed combat, swordwork, weaponry, camouflage, escape and evasion. In time, the ninja warriors came to be feared throughout Japan. Even the mighty Samurai looked over his shoulder if a ninja was known to be in the area. Over the centuries, while ninjutsu was being practiced in secrecy, no one knew anything about the art except the ninjas themselves. When Japan emerged into the modern era, and feudalism collapsed, the ninja were absorbed into Japan's secret service and special services groups. The martial arts boom of the 1970's saw two men searching for something different. Doron Navon and Stephen Hayes found a ninjutsu headmaster living in Japan who came from an unbroken line of ninja instructors dating back almost 800 years. The art was then brought to the western World. 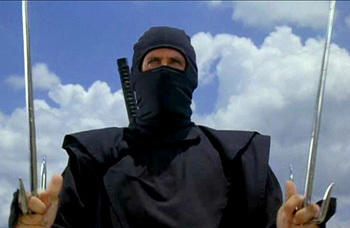 When speaking of Ninja, the image of a black clad assassin disappearing in a cloud of smoke is what comes to mind. This distortion has nothing to do with the reality of studying Ninjutsu, or "Ninpo" in its highest order. Ninpo is a traditional Japanese bujutsu martial art with a rich and viable history that stretches back over ten centuries. Developed as a highly illegal counterculture to the ruling samurai warrior class, Ninpo still flourishes today under the direct guidance of Dr. Masaaki Hatsumi,34th grandmaster of the Togakure Ryu Ninjutsu tradition and eight other budo traditions. Dr. Hatsumi is the last variable true Ninja grandmaster having a direct line of decent from feudal Japan. Ninjutsu was developed as a collection of fundamental survivalist techniques in the warring state of feudal Japan. The ninja clans used their art to ensure their survival in a time of violent political turmoil. It also included methods of gathering information, non-detection, avoidance, and misdirection techniques. 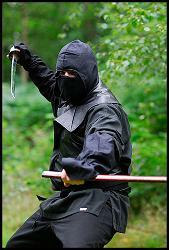 Ninjutsu can also involve training in disguise, escape, concealment, archery, medicine, explosives, and poisons. Although the popular view is that ninjutsu is the art of secrecy or stealth, actual practitioners consider it to mean the art of enduring - enduring all of life's hardships. The word nin carries both these meanings. To avoid misunderstandings, "ninjutsu" should just refer to a specific branch of Japanese martial arts, unless it is being used in a historical sense. 18 Ninjutsu Skills (Ninja Juhakkei): According to Bujinkan members, the eighteen disciplines (juhakkei < juhachi-kei) were first stated in the scrolls of Togakure-ryu and they became definitive for all ninjutsu schools, providing a complete training of the warrior in various fighting arts and complementary disciplines.Ninja juhakkei was often studied along with Bugei Jūhappan (the "18 samurai fighting art skills"). Though some of them are the same, the techniques of each discipline were used with different approaches by both samurai and ninja. Ninjutsu's basic tenets are summed up in a poem, probably composed by a warrior known as Yamabushi.